Maybe you’ve quit before: Day one really tested your willpower. Day two: you struggled—and made it through! Day three: you felt strong! –and then, Friday night took you down. You went out with friends, maybe to a bar, and the next thing you knew, you went outside with your friends for just one smoke…. Staying in your first weekend smoke-free can be all kinds of helpful. First, understand that avoiding cravings means preparing for them before they happen—and this might mean changing up your typical weekend plans for the first couple weeks of going smoke-free. Avoiding the temptation might mean going to bed early on Friday night. 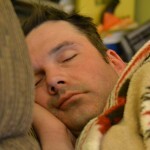 The extra sleep will help reduce stress that might trigger your cravings the next day. Not sleepy? Stay-in activities include surfing the web for more reasons to stay smoke-free, playing video games, painting your nails, taking a relaxing bath, cleaning the apartment, or calling a relative or old friend you haven’t spoken to in a while. Or, make it a party. Staying-in can still be social—and easy on the wallet too. Invite your friends over for a potluck, movie, or board game night. 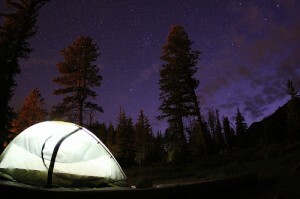 Nighttime possibilities: enjoying the great outdoors! The key is to prepare ways to curb cravings before they happen. Check online or call ahead to make sure the particular venue you’re going to is smoke-free. Invite friends who support your decision to quit and will distract you from trying to smoke.